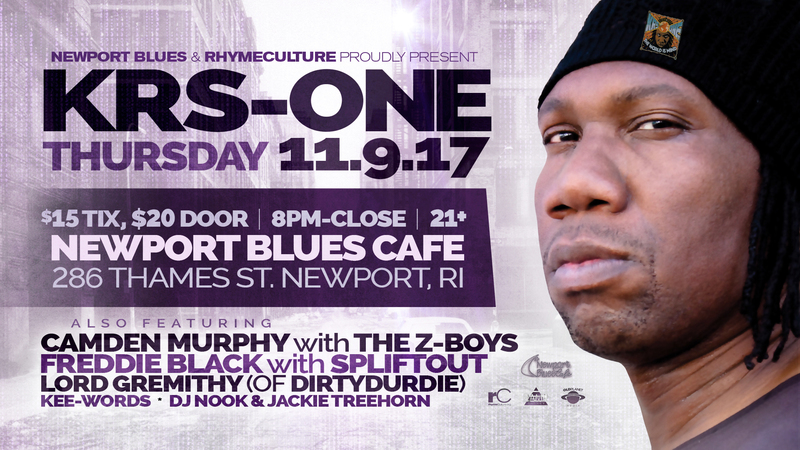 KRS-One @ Newport Blues Cafe | rhymeCulture.org | culture. music. news. He’ll be joined by Freddie Black w/ Spliftout, Lord Gremithy (of DirtyDurdie), Kee-Words and Camden Murphy w/ The Z-Boys! DJ Nook & Jackie Treehorn on the wheels of steel. $15 tickets, $20 at the door.